Automation - Initialized controls are now shown in their own folder in the 'Current project' section of the Browser. Plugins - Deleting plugins now asks for confirmation (as there's no undo). Playlist - 'Group with above track' will auto-color the track when the parent is an Instrument or Audio track. Playlist - Adding an Instrument or Audio track no longer switches from Pattern to Song mode. Channels - 'Unassign from instrument track' / 'Assign to new instrument track' Channel Right-click option. Missing plugins and samples - New window when opening a project file providing more information. Ogun - New Ogun presets added, that were previously only available through Download Manager. Harmor - New 'Olbaid' presets added to Harmor. Wave Candy - Automatic mode change when the window size changes is now disabled by default. Patcher - Significantly lower CPU usage when control surfaces are in use. macOS - GUI, FPS improvements. For the full list see the user forum post here, or check the WhatsNew.rtf in the installation folder. Playlist Track Mode - Organize projects and speed workflow by grouping a Channel Instrument, Playlist Track and Mixer track. Changes to the name, color and or icon of any member in the group will ripple throughout the chain. Alternatively, drop instrument and effect plugins or audio files on Playlist Track headers. Tools > Macros > Reset empty playlist tracks - Reset all unused Playlist tracks to default color, icons and name. Improved Audio Recording - Link Playlist Tracks to Mixer Tracks and their input, so audio is recorded to the selected Playlist Track Track. Follow-up recordings are added as sub-tracks of the parent Playlist Track. Armed Input Mixer Tracks now show orange faders to better display their state. Pre/Post Effects Recording - Click the Input Menu icon to choose Pre/Post FX recording. Stepsequencer Channel Looping - Channels in the same Pattern, with shorter lengths, will loop to make up the difference. This restores looping behavior from FL Studio 11, and includes new advanced options, to allow control of per-Pattern, per-Channel looping and loop-length for polyrhythmic patterns. Stepsequencer - The maximum step-count has been increased from 64 to 512. Channel Rack Menu > Set swingmix - Set the Swing Mix control values simultaneously for the selected Channels. Show complete piano roll preview - Channel Rack menu option to show all the notes in patterns, rather than just the number of bars visible in the Stepsequencer. Channel Rack Close icon - Can also be closed with the (Esc) key. Sampler Channels - The 'Time' knob is now automatable when the 'Mode' is set to a realtime algorithm (Resample or Stretch). General Settings - New 'Check for updates' option at startup. Mono export - Mono audio file export. CPU & Memory Panel - 'View FPS' shows the FL Studio GUI frame-rate. Project Information - Extended project statistics (bottom of panel). 55 x "Minimal Kick" Samples - Browser > Packs > Drums > Kicks > Minimal Kick 01 to 55. ZGameEditor Visualizer - Video export wizard (beta). Akai FL Studio FIRE - Stepsequencer-looping workflow enhancements (Set Channel loop-length & burn to Pattern). TIP: If you are updating from FL Studio 11 or 12, check the video tutorial here. EDIT: December 2018 we released the 20.1.1 update. FL STUDIO 20.0.5 introduces support for the worlds first dedicated FL Studio controller the AKAI Professional FL Studio FIRE. Featuring plug-and-play integration, at the heart of Fire is a 4 x 16 RGB pad matrix. Quickly input patterns on the Step Sequencer or switch over to Performance Mode for live playing and recording of notes and launching patterns. Bringing a tactile, mouse-free mixing solution to the FL Studio environment, Fire includes four banks of four touch-capacitive knobs, enabling the user to instantly see and adjust parameter values. This facilitates a more intuitive workflow, giving the ultimate control over Channel, Mixer and user-assignable parameters. 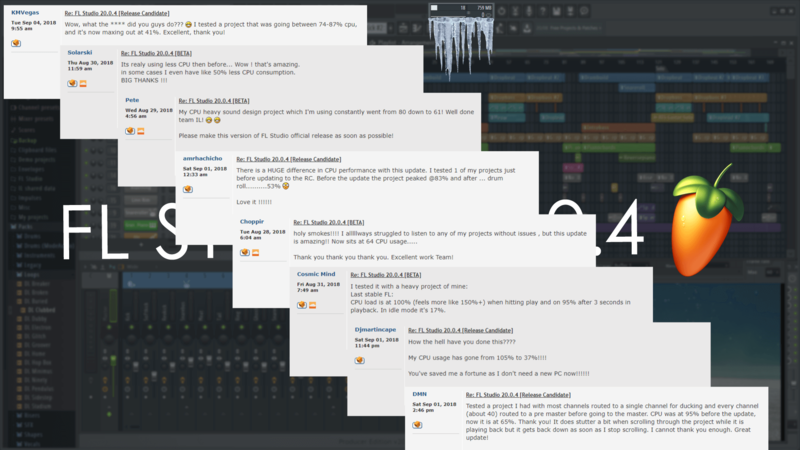 FL Studio 20.0.5 What's new? * Fruity Fire Edition is equivalent to Fruity Edition with the additional requirement a FIRE controller must be connected to unlock from Trial Mode. Improvements to CPU usage - Especially in complex projects, where mixer tracks are routed to others, and threaded processing is on, you will notice significant improvements to CPU usage. Patcher - More improvements to CPU usage! Transpose patterns and channels in semitones - There is a 'Transpose' pop-up for selected Channels from the Channel Rack Options Menu, Patterns - in the Picker Panel (Right-Click menu) or from the Pattern Menu. Mixer - Added 'Delete' item to the effect slot menu in the mixer. Playlist - Chop Audio Clips in 8th and 16th note divisions. Playlist - Consolidated audio now shows above the consolidated (and muted) track in the Playlist. Browser - Open a sample or plugin from the browser without showing the Channel window by holding the (Alt) key. User data folder - Can now be reset to the default value, in the File Settings. Diagnostic tool - User data location is shown in reports (found under the Help menu). 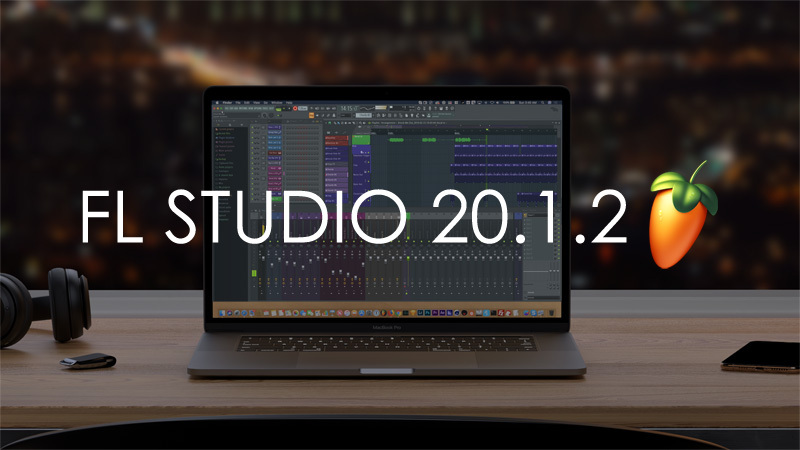 Icons - New FL Studio 20 Application Icon.